Tony is the co-author with Martin Batt of Chapter 15, “Corporate Responsibility, and Environmental Investing,” in Environmental Alpha: Institutional Investors and Climate Change. In 2009, when Environmental Alpha was published, considerable pressure was on corporations to take greater responsibility for their environmental impacts and for their investors to take those impacts into account in their investment decision making. This was before the Copenhagen climate change summit in 2010, when the replacement for the Kyoto Protocol was expected to be ratified. The failure of this summit was somewhat of a game changer for many executives in corporations, who became uncertain about legislative intentions regarding climate change. Certainly since 2009, the focus on climate change has grown in some sectors. These include those companies in the extractive industry that have stranded fossil fuel assets (where total reserves, if extracted and consumed, would far exceed a carbon budget set to avoid global warming of 2°C), and those high-energy intensive industries operating in countries where carbon-trading tax regimes impose additional operating costs. However, for lower energy-intensive industries operating in countries with carbon tax regimes (for example, the UK’s Carbon Reduction Commitment), the regimes have not had the cost impact that was expected, and the impact has been insufficient to internalize climate change externalities. This is because energy costs (even before the drop in oil and gas prices) did not represent a significant percentage of operating costs, and the tax imposed was insufficient to affect that percentage. In addition, emissions in many of these companies have already been dropping (independent of management actions) either because of government actions to change the balance of electricity generation toward lower emission energy sources, or because of intergovernmental pressures on motor manufacturers to reduce the emissions of motor vehicles. Our experience of the “environmental actions” taken by these corporations is that whilst they reduce environmental impacts, including those of climate change, the rationale for implementing them tends to be one of overall cost reduction. As an example, for those companies with large vehicle fleets, especially those in the services or logistics industry, a significant focus is on the use of engine mapping to improve engine efficiency; software to improve route optimization; and on-board technology, such as telematics, to improve driving behaviors. The impact of such changes is to reduce fuel consumption (and hence emissions), but the business objectives are more likely to relate to improving driver productivity, vehicle utilization, and driving standards (leading to fewer accidents and reduced insurance premiums). These business priorities are more significant than reducing emissions per se. We have found that gaining traction with a company’s board on issues such as climate change can be challenging. An effective way to frame the issues is to focus on the business-oriented objectives and their implications, which board members can easily relate to and understand. The challenge lies in the extent to which environmental externalities are internalized as costs and taken into account when operational decisions are made. Without environmental taxes, this is unlikely to occur, and even with such taxes, for the majority of corporations, these are unlikely to be of sufficient magnitude to have the desired effect. Nevertheless, there is evidence that a focus on environmental matters will affect a corporation’s share price. Two studies indicate the way in which responsible environmental policies and practices can have an impact on share values. The first study was conducted by New Amsterdam Partners, a boutique U.S. asset management firm. Their research focused on whether all aspects of responsible investing are equally important for stock analysis, and addressed stock returns and return on equity (ROE). The study showed that environmental, social, and governance (ESG) overall scores have predictive power over total stock returns and financial performance measured by ROE. Good companies (more strengths than weaknesses in ESG) tend to have higher medium-to-long-term (three- to five-year) returns and ROE. Corporate governance scores were the best predictor of stock returns, especially over the longer three- to five-year horizons, followed by environmental management, but over a longer term. The second study was undertaken by academics at Harvard and London Business Schools, and took a longer set of data—over 20 years. The study showed that corporations that had voluntarily adopted environmental and social policies over a long time period (described as High Sustainability corporations) had fundamentally different characteristics from corporations that had almost none of these policies in place (described as Low Sustainability corporations). Of particular significance is that the High Sustainability corporations significantly outperformed the Low Sustainability corporations over the long term in both stock market and financial performance. The study also found that the High Sustainability corporations were more likely to have members of the board who had responsibilities for sustainability. Low Sustainability corporations reflected traditional corporate profit maximization in which social and environmental issues are often regarded as externalities. My interpretation of these studies is that good governance, together with good environmental approaches, is a surrogate for a detailed management philosophy within a company, which will lead to better performance and, ultimately, a higher share price. The challenge of implementing the findings of these studies in a corporation is that the correlation to share price only materializes over the long term. Those hoping to gain a share-price improvement in the short term are unlikely to succeed by embedding sustainability in the corporation with a short-term agenda. This is a difficulty when the average length of tenure for chief executives tends toward the four-year mark. Probably few chief executives will take a long-term perspective and internalize the external costs into their corporation’s business strategy programs (with the notable exception of those like Paul Polman at Unilever who introduced “Sustainable Living” as part of the company’s main stream initiatives). But perhaps focusing on business-oriented objectives (while also delivering environmental improvements) is not such a bad thing. At least then the chief executives would be able to articulate to investors the business rationale behind such initiatives. Of greater concern is the extent to which corporations are taking into account risks that may result from climate change. My experience is that few corporations are taking a long enough view of such changes—on the basis that the executives involved in making such decisions would not be around in the corporation to see the effects of any climate change impacts, and if such impacts occurred in the short term, there is unlikely to be any blame attributed for any indecisiveness on their part. From the perspective of the investor, it is to be hoped that one outcome of the 2015 Paris summit will be that those governments signing up to the new protocol will start considering how they can ensure corporations in their own countries will sign up to the responsibilities involved. Additionally, governments should ensure that the corporations act on those obligations, rather than just relying on governmental initiatives, such as renewable energy programs, to take away the burden from them, or conforming to legislative emissions reporting requirements (such as the UK’s mandatory greenhouse gas reporting, which may have little visibility beyond the annual report). Tony has extensive experience in corporate responsibility (CR) reporting, annual nonfinancial reporting, and stakeholder communications. He consults for major multinational companies, and has an in-depth understanding of the issues faced in integrating these matters into business practices and strategy. In addition to working on these areas with Asesoria, he delivers training on CSR and Corporate Governance for ICSA, and the Investor Relations Society. He is the author of thirteen books on these subjects. Tony is actively involved in local environmental projects. He has an MBA from London Business School, and graduated in economics and statistics from Bristol University. 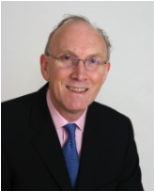 He is a retired chair of the RSA’s UK South Central Region. [1.] Claymann, Michelle R. (CFA), and Indrani De (CFA). 2010. “Are All Components of ESG Scores Equally Important?” July 14. Finance Professionals Post, the journal of the New York Society of Security Analysts. 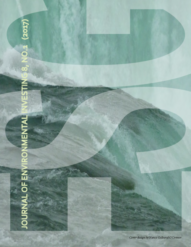 Available from http://post.nyssa.org/nyssa-news/2010/07/the-impact-of-esg-on-stock-returns-and-profitability.html. [2.] Eccles, Robert G., Ioannis Ioannou, and George Serafeim. 2011. “The Impact of a Corporate Culture of Sustainability on Corporate Behavior and Performance.” Harvard Business School. Retrieved from the Harvard Business School website: http://www.hbs.edu/research/pdf/12-035.pdf.